The first Library Association was the Washington Benevolent Society Library Incorporated in Potsdam on June 14, 1814 under a general act with Benjamin Raymond, Liberty Knowles, Azel Lyman, Dr. Robert McChesney, Pierce Shepard, Jacob Redington, and Sewall Raymond, trustees. The Union Library Association was incorporated January 8, 1828 with Jabez Willes, Zenas Clark, Amos Brown, Myron G. Munson, Horace Allen, Solomon M. Crary, Solomon Parmeter, trustees. The Masonic Royal Arch Masons, St. Lawrence Chapter No. 24, was formed at Massena February 1809. It was removed in 1816 to Potsdam. In 1828, it was suspended and having funds at the time, these were expended in the purchase of a library, which in 1853 had about 400 volumes. In 1887, a Library and Reading Room Association was formed and financed by subscriptions for three, three-year periods. This library, located in two stores in the Albion Hotel Block, was maintained for nine years. In 1896, The Potsdam Public Library Reading Room Association was formed, five trustees were elected at the village caucus, money raised by taxation to maintain it, and funds solicited from individuals to purchase the Finnimore property, corner Market and Depot Streets. 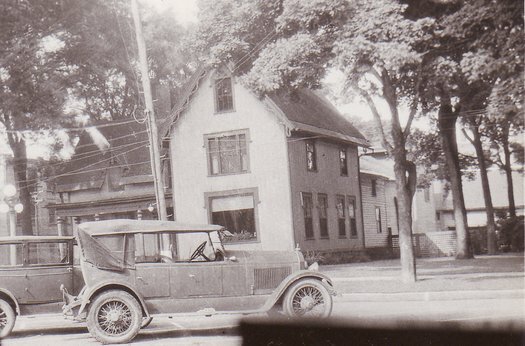 In 1934, the Universalist Church gave its building to the village for a library and with funds left by will to the library, it was remodeled into the present attractive building. In 1946, the present library celebrated its 50thanniversary, but Potsdam has had a library history since 1814. The Potsdam Museum was founded in 1939 to house a Collection of English Pottery given to the village by Frank and Harriet Burnap, natives of the village, who resided in Kansas City, Missouri. Mr. and Mrs. Burnap had gathered together one of the most complete collections of English pottery in the United States and decided to share it with their home town. The basement of the library building, Elm and Park Streets, was remodeled and the Museum opened in 1940. 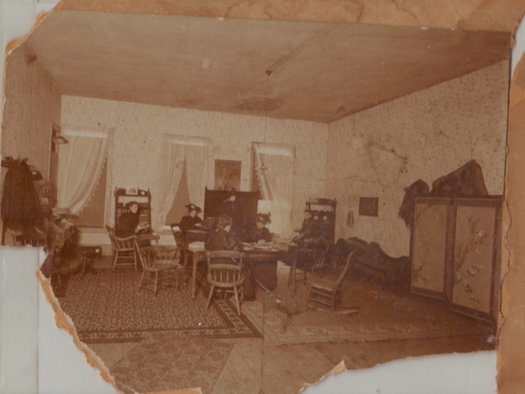 During the years, many historical items have been given to the Museum, including glass, china, furniture, costumes, farm and household tools, and much material relating to the history of Potsdam, St. Lawrence County and the area. Today, the Museum is an active cultural and educational community agency, with a full program of rotating exhibits, research assistance, and aid to schools in the form of teachers’ boxes and class visits tailored to interests. On the site where the auditorium of the Civic Center now stands, was a small frame building called “The Gun House” where was kept the one cannon belonging to the village. 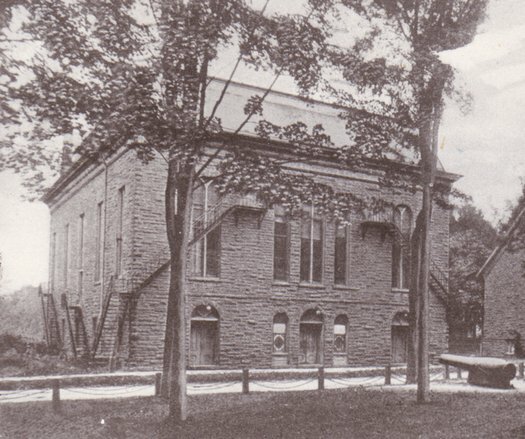 On April 18, 1845, an act was passed to levy a tax of $600 in each year 1846-47 in the town of Potsdam for the erection of a town hall to be situated on the west side of the Public Square (where the “Gun-House” was), and not to be let on Sundays without the consent of the trustees of the two nearest churches. It was built in 1845 by William Sweet, contractor, of wood 64 x 40 feet, and stood on the center of the west side of Public Square. A story of an incident that happened in this first Town Hall is taken from Annie Clarkson’s History of the Episcopal Church. The Potsdam MERCURY of January 1848 thus alludes to Mr. Hubbard’s (he was the pastor of Trinity Church) taking part in the debate at a meeting of the Potsdam Lyceum. The subject for discussion was “Has Phrenology a tendency to benefit mankind?” Some of the best speaking talent of the place was called together, five ministers, three medical gentlemen, and several of the legal profession, but ‘the boys’ present made such a disturbance that the persons possessing a good degree of sensibility could not proceed in the debate. The Rev. Mr. Hubbard, a worthy appearing young gentleman of the Episcopal order, and who spoke with much feeling and candor, attempted a speech, but was so much disturbed by these intruders, that he paused and addressed some remarks to the ‘boys’. The real annoyers, not feeling themselves addressed by this appellation, continued their violation of order and propriety, and the worthy gentleman, after several ineffectual efforts to turn the minds of these graceless personages, obeyed the sentiment that ‘but one should speak at a time’, and in the midst of his speech, while quoting a beautiful passage from Shakespeare, took his seat, nor has he been at the Lyceum since . . . Mr. Hubbard’s sensibility and sense of propriety would not allow him to proceed amid confusion and he abandoned the effort. 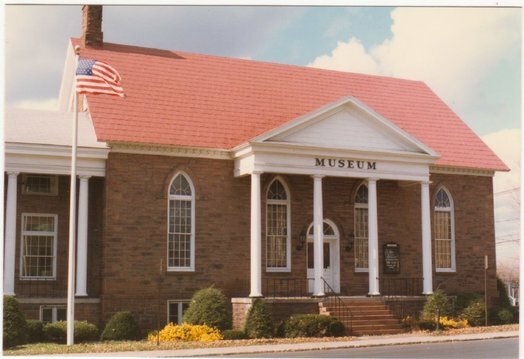 This Town Hall burned in 1857 and a new one was built in 1858 costing $5,000. This one lasted until 1875. In 1875, the Town House was too old, leaky, and too small for such a thriving town and on February 1875 at Town Meeting, $20,000 was voted by a majority of 10 votes to build a new one. It was to be of broken ashlar 90 x 68 feet with a mansard roof. (Picture). It was the scene for Normal graduations, plays, musicals, lectures, home talent shows. One outstanding feature of the auditorium was its perfect acoustic properties and architects came from Boston and other cities trying to find the reason. No one ever found the secret. The building was condemned and in 1934 the new Civic Center project was launched, a group of buildings even now overtaxed in use and the envy of the North Country.